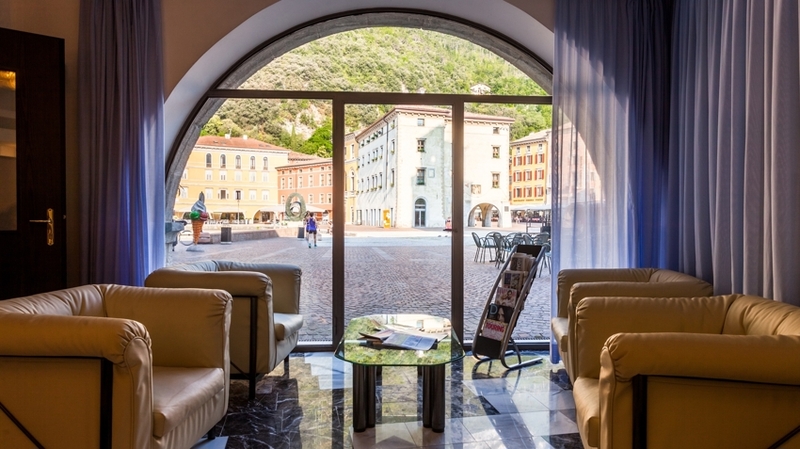 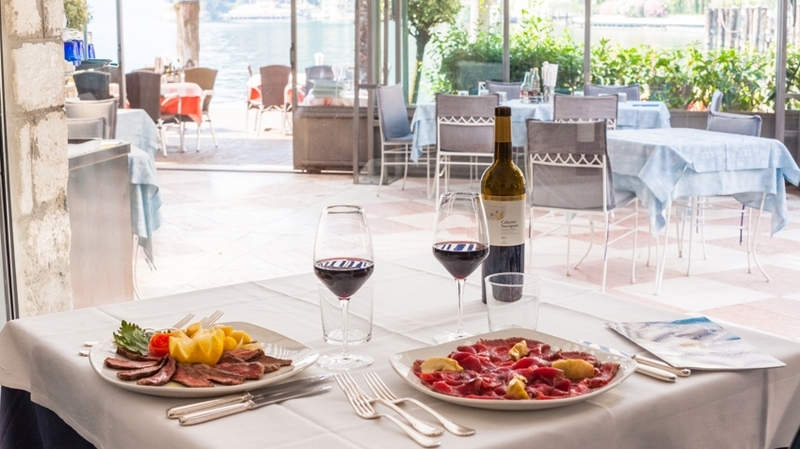 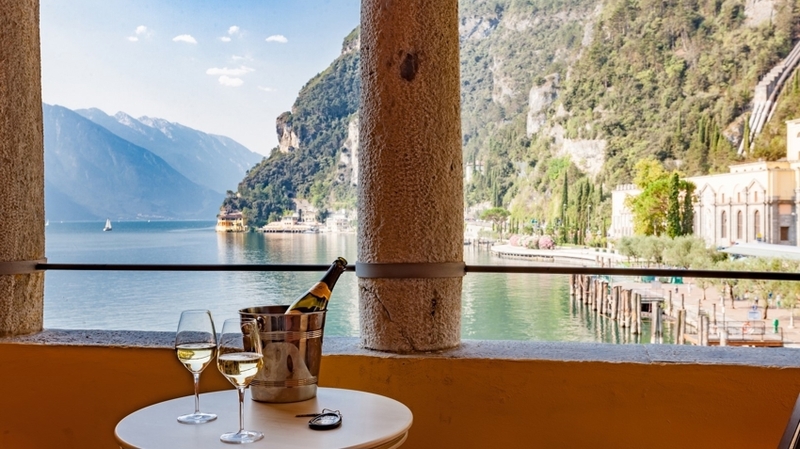 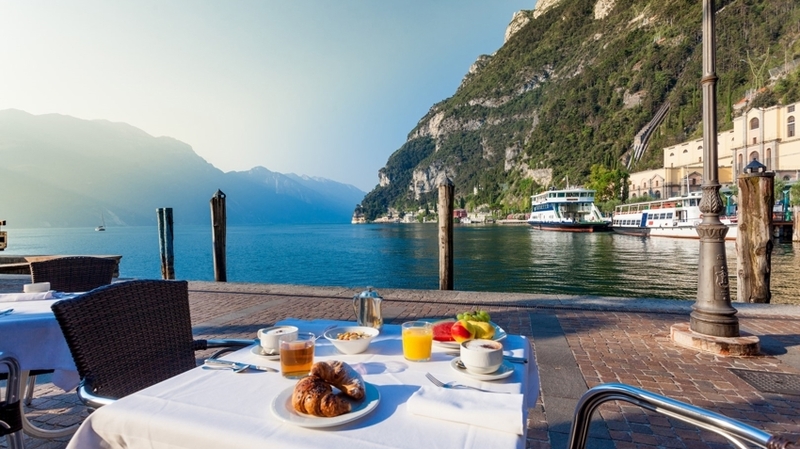 The inviting Hotel Sole is located in the historical centre of Riva del Garda, one of the most beautiful and most popular localities at Lake Garda. 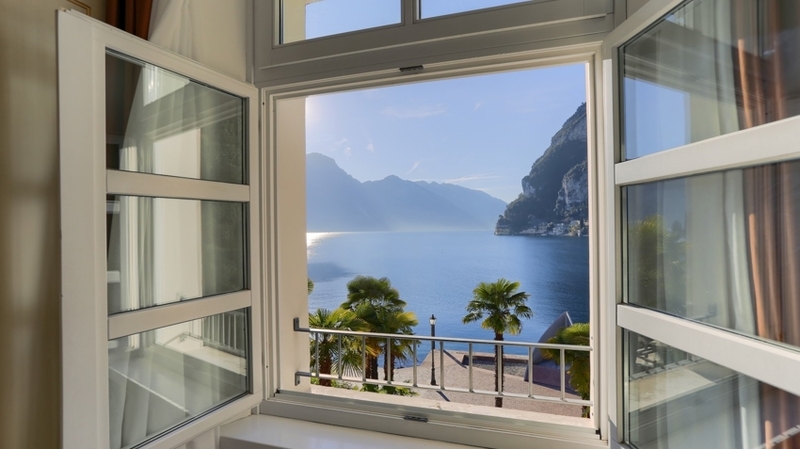 Directly at the lakeshore, you will look forward to a unique and pleasant atmosphere – a real paradise for tranquillity seekers. 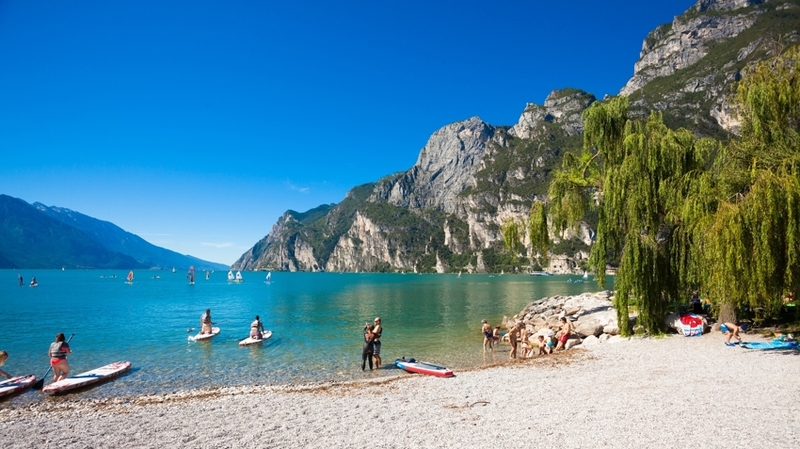 Water sports lovers can reach the popular beaches Sabbioni and Porfina within a few minutes on foot, enjoy the sun, time with the family or with friends as well as excellent conditions for surfing and windsurfing. 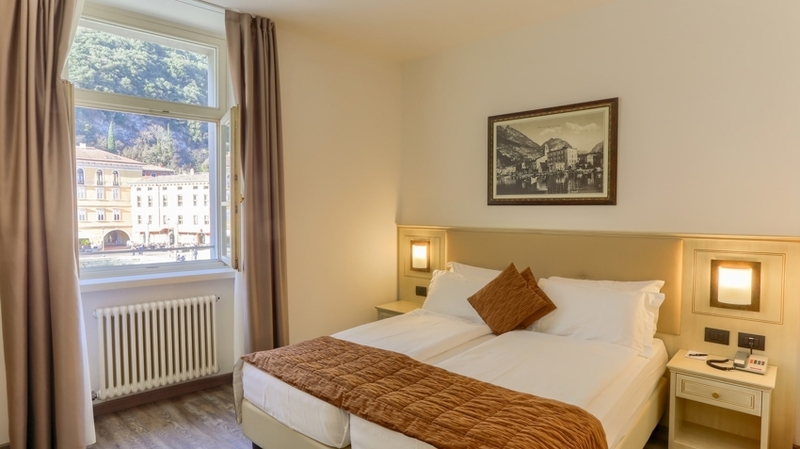 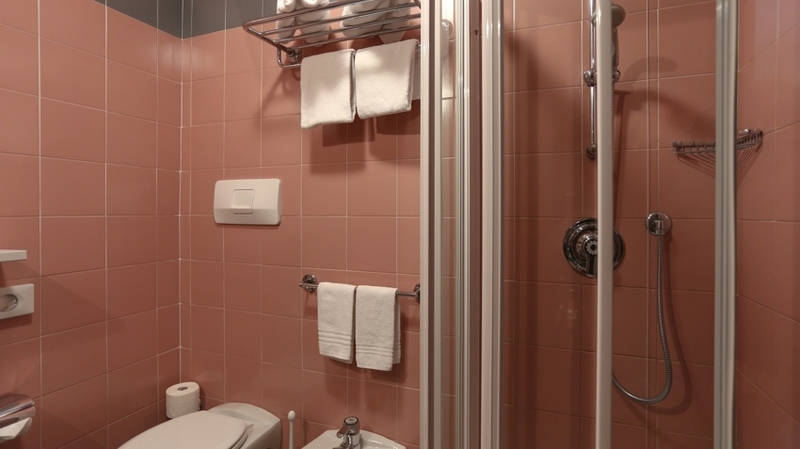 For our guests, we offer different types of rooms and suites in order to satisfy all kinds of needs. 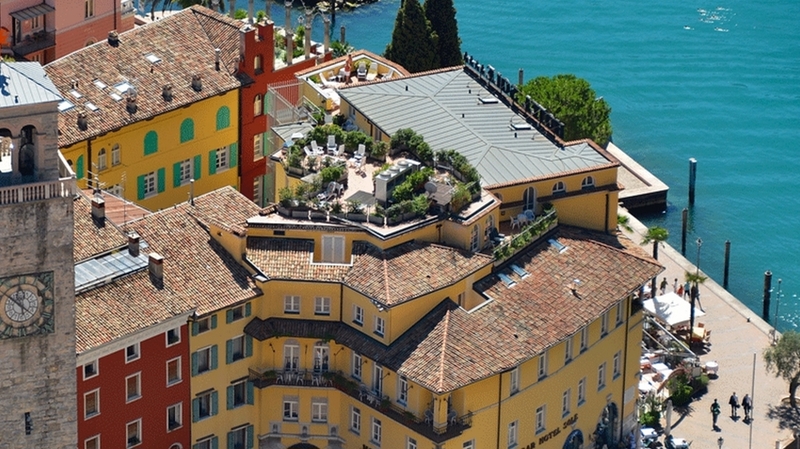 Our hotel has 81 rooms in total, from standard, classic, superior with lakeview, suite with lakeview to family suite. 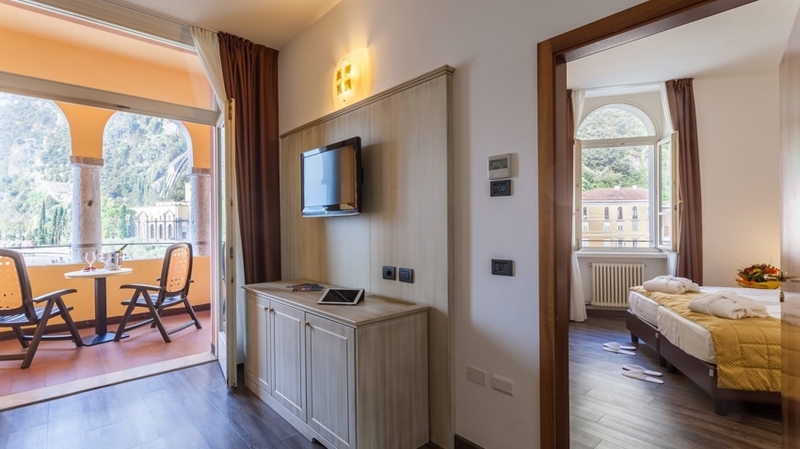 Each room is furnished in its own style, with classic or modern furniture, ceramic, carpet of wooden floors as well as with a bathroom with bathtub or shower. 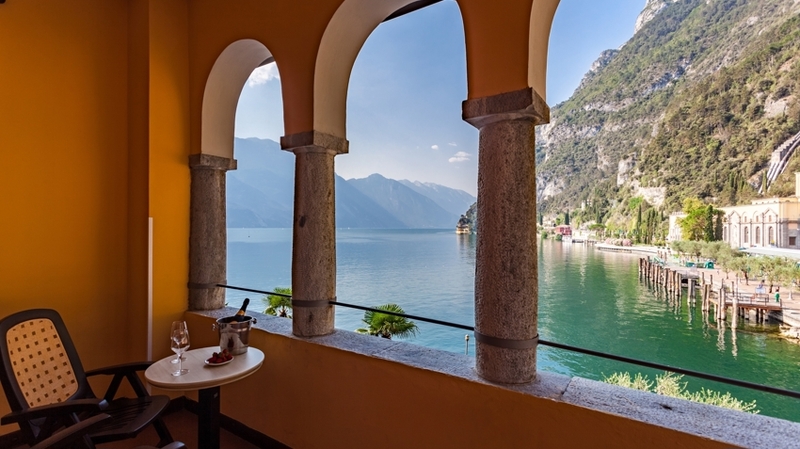 The rooms are located in a quiet position and some of them offer a balcony with wonderful view of the lake. 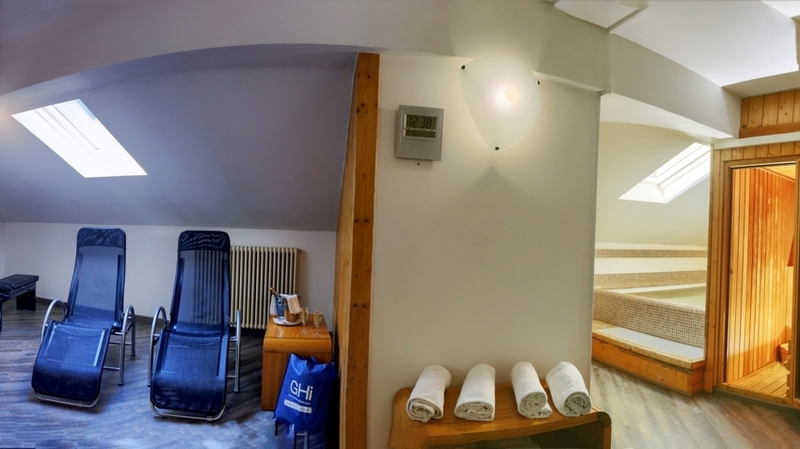 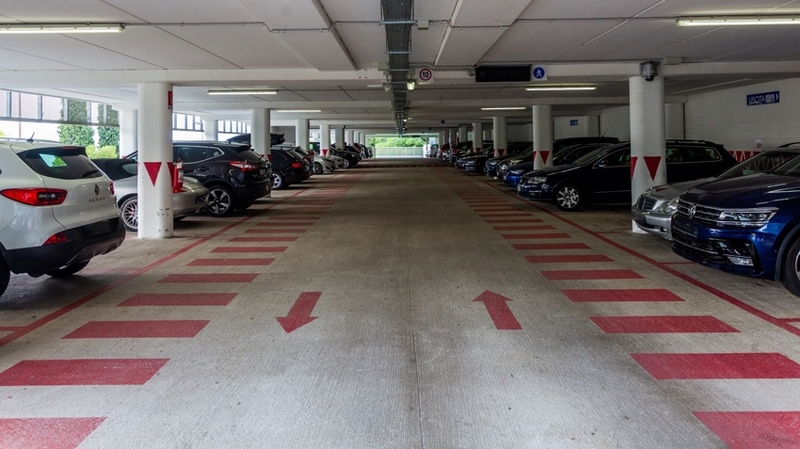 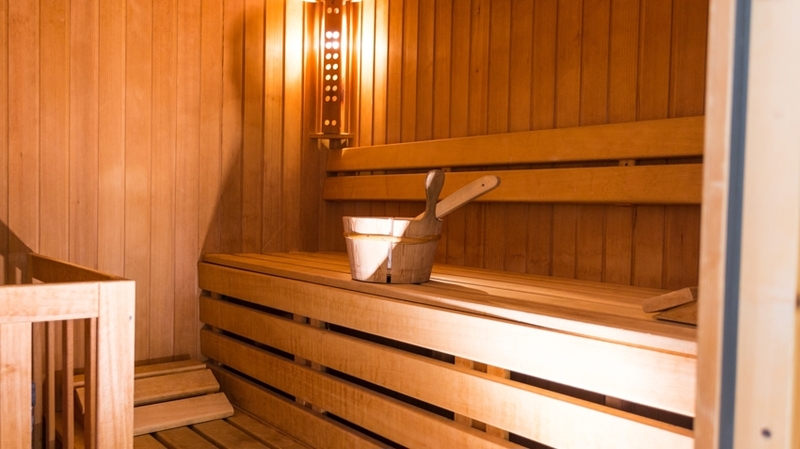 As well, we offer a car parking, a secured bike storage, a relax area with sauna and whirlpool, massages on request, a panoramic terrace with sunbeds on the 4th floor, several city bikes for rental, a washing room as well as free WLAN. 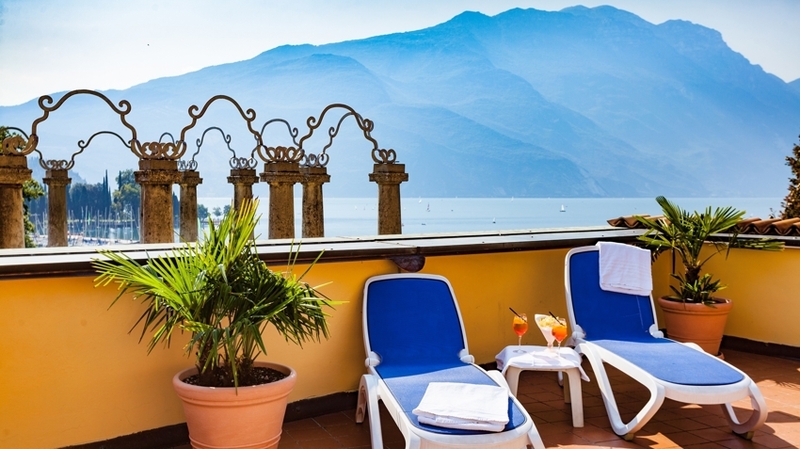 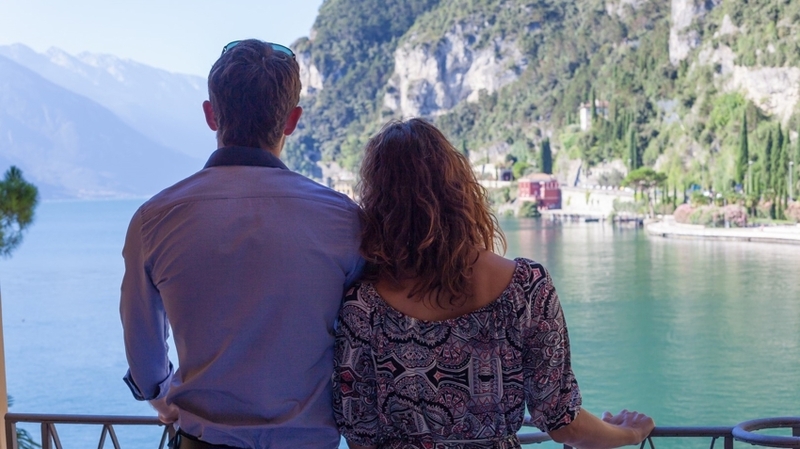 Hotel Sole awaits you with unforgettable holidays at Lake Garda. 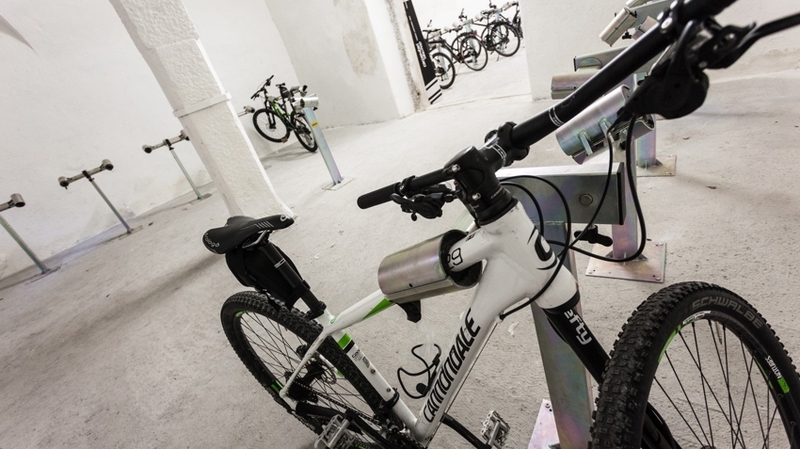 During the day, you will look forward to different types of sports such as hiking, cycling, climbing, riding, water sports and more. 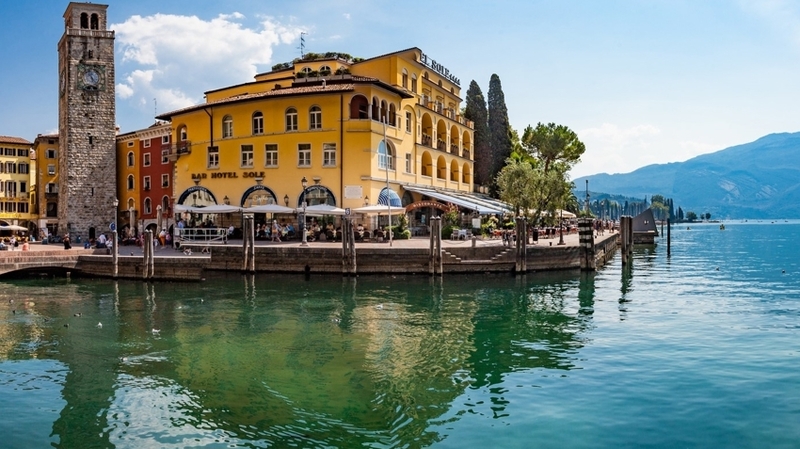 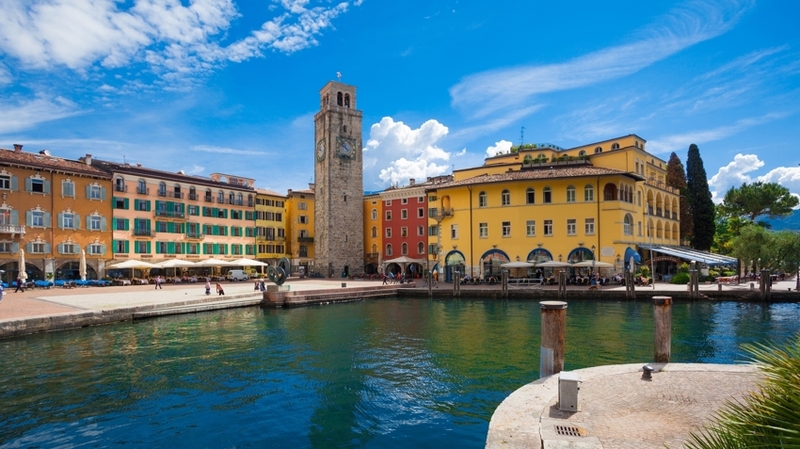 In the afternoon and in the evening, the picturesque streets of Riva are ideal for shopping and walking as well as for tasting local specialities in the numerous restaurants. 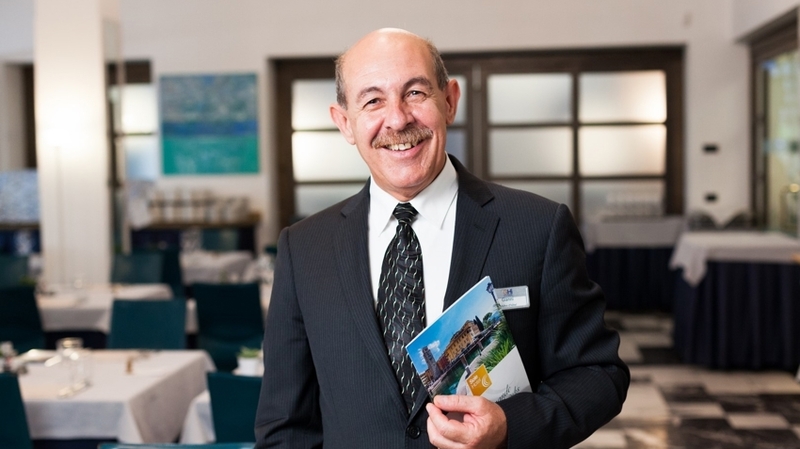 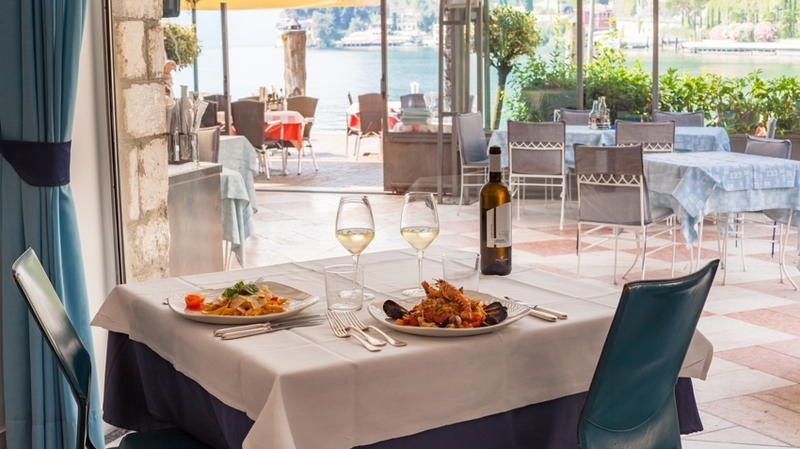 Our hotel also offers a lake terrace, with a restaurant, pizzeria, snack bar and ice-cream parlour from 11:30 am until 10:30 pm. 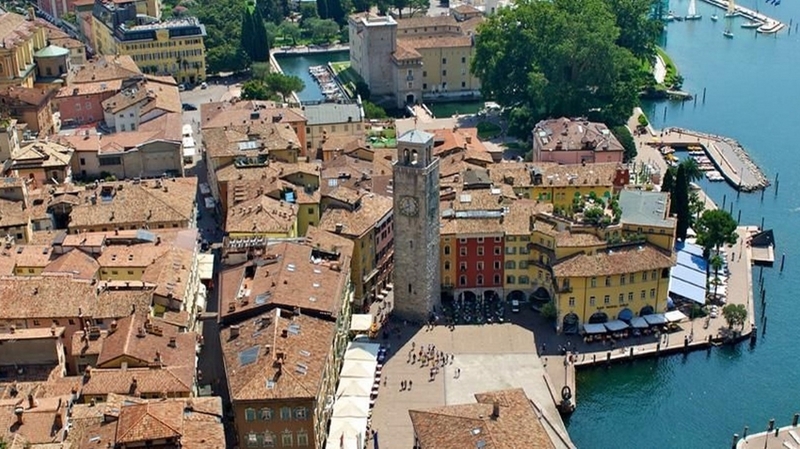 Riva and environs also offer many sights, such as castles and museums.